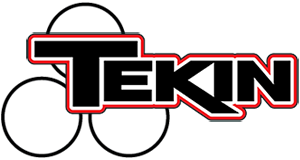 Tekin goes 1-2 in Open Truck at the Jconcepts Summer Nationals! – Tekin – Smaller, Smarter, Faster! Tekin goes 1-2 in Open Truck at the Jconcepts Summer Nationals! Team drivers Nathan “The Machine” Lavery and team manager Randy Pike go 1-2 in the 8 minute A-main at the Jconcepts Summer Nationals held at Outback Raceway. Both drivers dominated qualifying taking turns running some of the fastest laps in Mod Truck. Nathan was actually running a 13.5 Tekin Redline motor while taking the overall Tq! Randy was using a new 11.5T Redline motor. Both drivers were using the RS esc in their trucks, programmed by a Tekin Hotwire running the latest 208 software. « Tony Phalen goes Back to Back at the 2010 SCT Nationals!